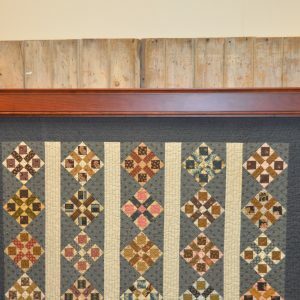 The Quilt Display for Miniatures operates the same as the full size models. 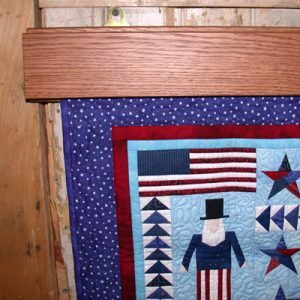 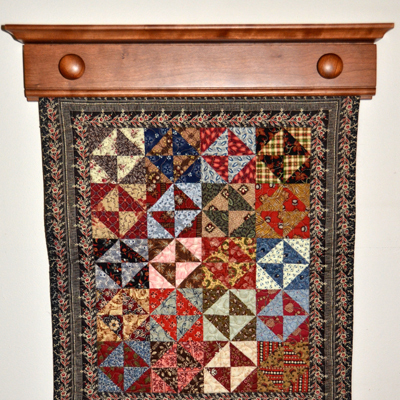 The wood thickness, knob size and shelf width have been downsized to maintain proportion with smaller quilts. 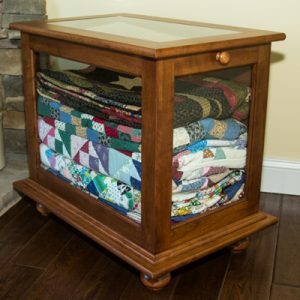 Quilt Display’s for miniatures are available with or without a shelf. 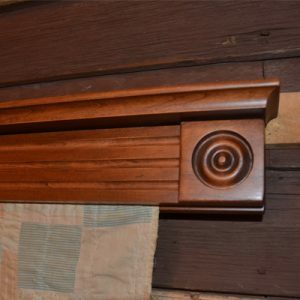 If ordered with a shelf, no plate groove is provided unless requested.